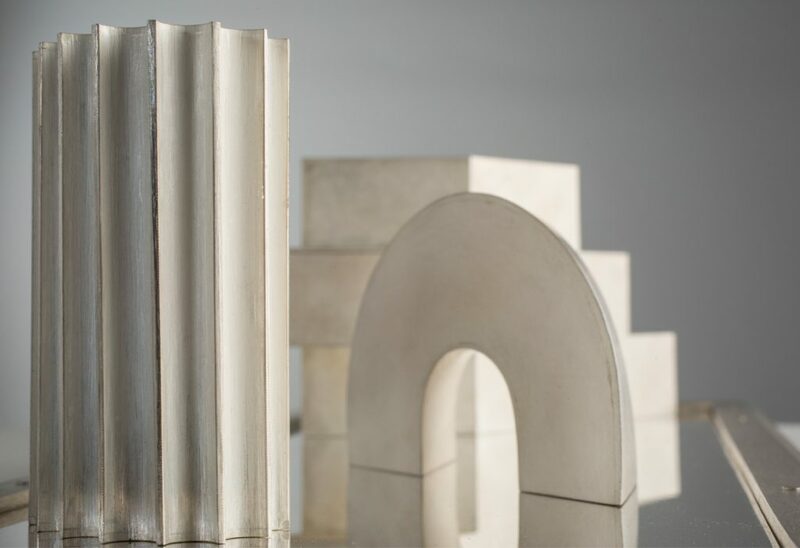 Doppia Firma, presented by Michelangelo Foundation for Creativity and Craftsmanship, is a project that joins contemporary design with artisanal excellence from Italy. Results were exhibited during Salone del Mobile.Milano 2018 at Villa Mozart, a 1930s villa that is today occupied by the studio of designer and jeweller Giampiero Bodino. 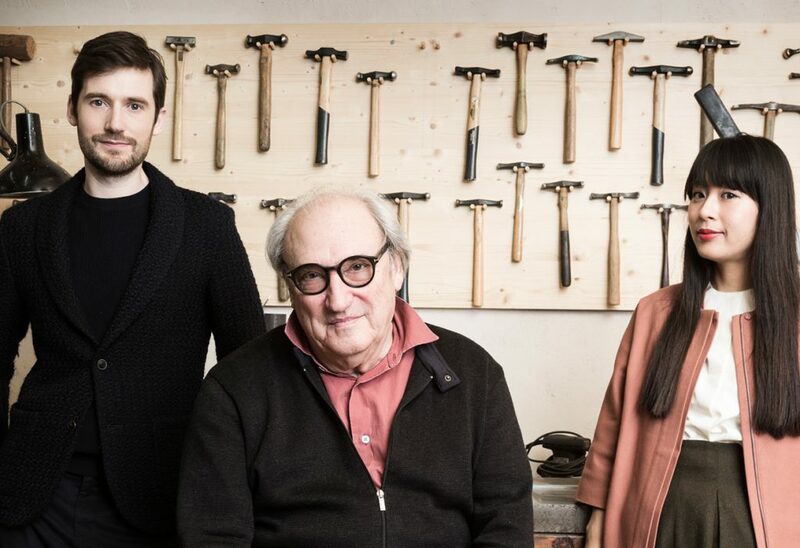 This year’s Doppia Firma, meaning Double Signature, brought international designers and master artisans from Venice and the Veneto region together in collaboration. The title suggests that the unique signatures of the designers and the craftsmen, influenced by cultural backgrounds and artisanal traditions, are apparent in the object. The collection consists of bold contemporary designs both in colour and geometric forms, they are playful and fresh interpretations of traditionally crafted objects executed in expressive artisanal accomplishment and materiality. Types of crafts involved are glass, ceramics, porcelain, marble, gold leaf, wood, lace, brocade, silver, silkscreen printing and spinning, as well traditional Venetian mask-making and typesetting. Participating designers include the French curator and architect India Mahdavi, UK duo Studio Swine, Beirut-based design studio David/Nicolas and German typographer Erik Spiekermann, among others. 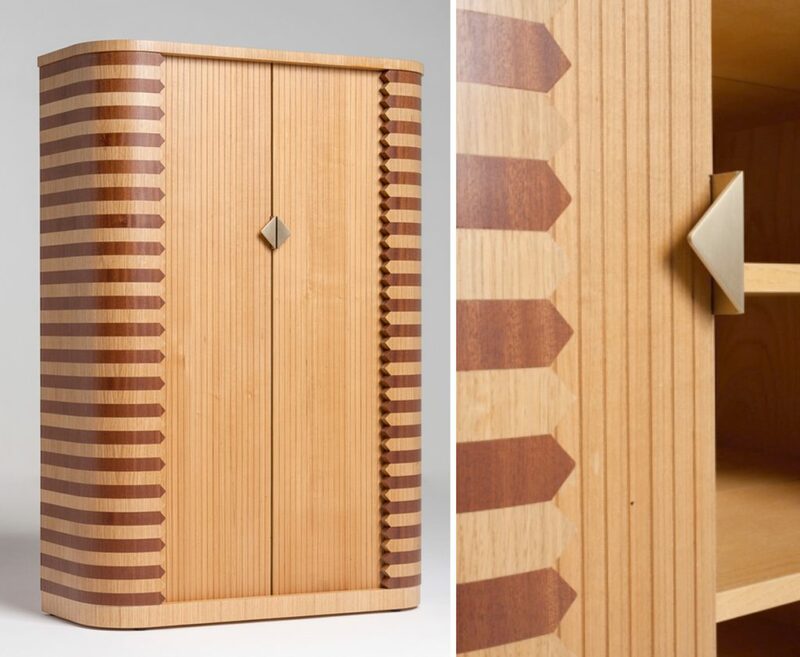 hand-crafted by Morelato, the family-run company of master cabinetmakers south of Verona. 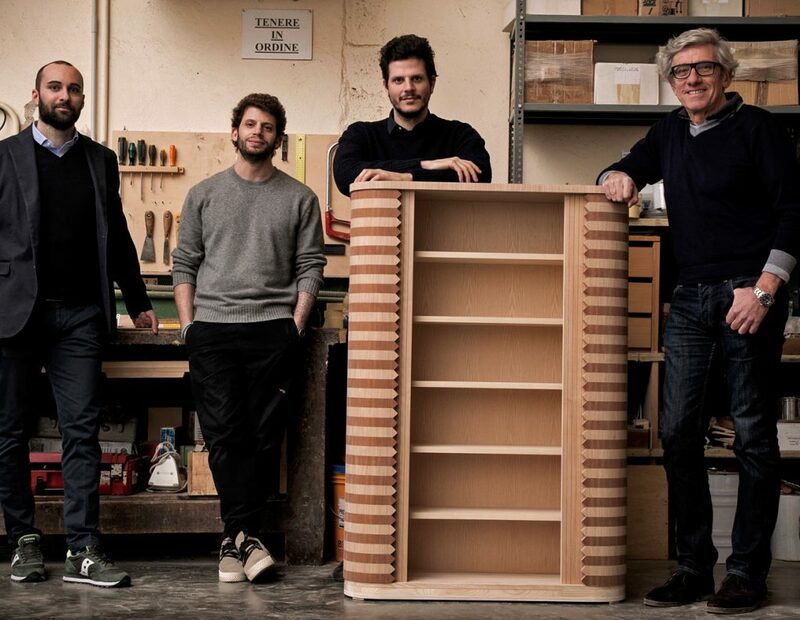 Giorgio and Alessandro Morelato made a two-toned cabinet conceived as a bar or small bookcase in collaboration with the Lebanese design team david/nicolas. Using only traditional techniques Morelato used 20mm birch plywood with natural ash wood veneer. Striking are the curved sides being made from plywood pressed into its shape, then composed with dry-joined triangles made of solid oak and mahogany and finished with strips of veneer of the same types of wood. 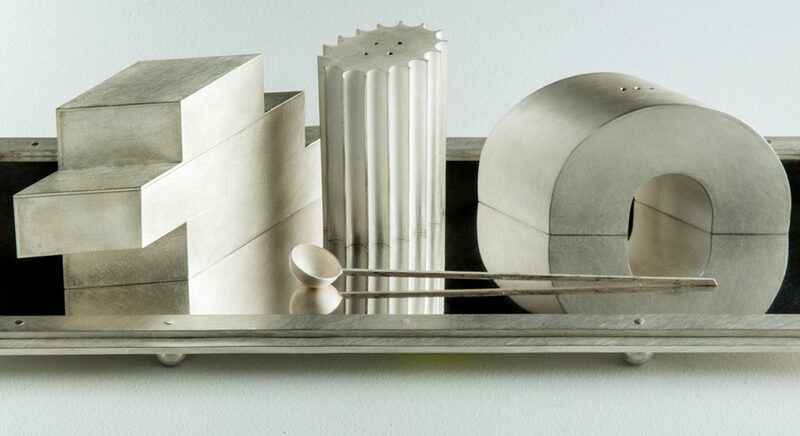 crafted by master goldsmith Giampaolo Babetto (based in the Veneto region) the table set made of three pieces was designed by the English design duo Studio Swine. Based on ancient Italian architectural elements – a column, an arch and a brick wall – the shapes reflect the awkward attempt of perspective drawings in depictions of architecture in early Renaissance paintings. For the subtle patina Babetto prepares an alloy using his personal recipe, he beats and scratches the surface until he achieves the distinctive colour and texture. This vibrant dialogue between craftsmanship and design presents an inspiring cultural movement of excellence. The project is a perfect demonstration of a beautiful paradox: that solid tradition is the best basis for ushering in the future. This exhibition was a prelude to its first major international, cultural exhibition on fine craftsmanship presented by the Michelangelo Foundation: Homo Faber, crafting a more human future,in September this year. Definitely go and see the beautifully curated Doppia Firma webpage to see all projects and meet all participants.